blithely singing along to this song from Rent when it dawned on me. We've been here for more than a year. We've been here long enough to have survived all the 'firsts' away from home, those dates that are so replete with tradition and family history that they tug and pull and ache ... birthdays, anniversary days, Christmas, New Year. Long enough that time passes more quickly. Long enough for me to have stopped counting how long we've been here. We've even been here long enough to have grown so familiar with life in our compact attic flat in Fitzrovia that it had become tiresome. No, that's not the right word. Too many awe-inspiring, mind-expanding, life-affirming things surrounded us for it to be tiresome. What I should have said is that we had lived there long enough to have grown fed-up with ceaseless traffic and choked footpaths; exhausted by the parade of grey, airless days; jaded by brick and concrete. Down the Thames we moved. No longer in the heart of the city, now in an airy modern North Greenwich apartment we can see the river, watch the sunset, enjoy growing plants on the expansive balcony. It's mind-opening in a whole different way. An additional way. The way that means so much to so many Australians. Here there is head space. Anyway, I began at the point when I was musing about how I would measure that first year. And I thought, how about in shows? When we decided to move here, I promised myself that I would take me to every play, concert, musical or exhibition that took my fancy. I did not let myself down. In our first year in London, I took myself to 14 musicals, 17 plays, 5 concerts, 2 stand-up comedy performances, the Chelsea Flower Show, the Longines Global Champions showjumping, 12 museums, the taping of 3 television shows and the truly spectacular Lucha Libre masked wrestling. 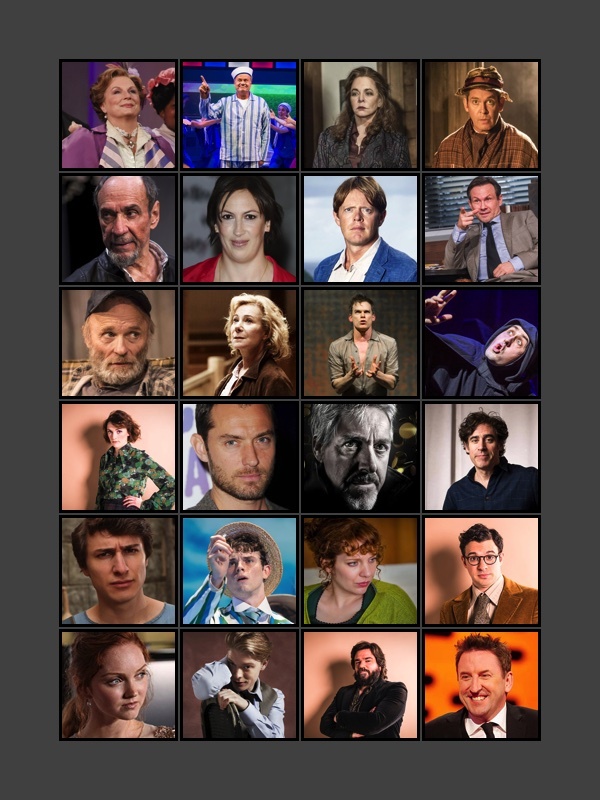 And here are some of the amazing actors who have shared some of their 525,600 minutes with me. So how do you measure a year? Hey Wendy! How pleasant to see an email from you in my mailbox--yeah yeah, I mean new post alert. Show me pictures of your new place! I like the way you've measured time in shows. Me, I am thinking I'll measure my year with coffee spoons (that was a bad way to tweak T.S.Elliot, I know!). I've been see-sawing between good health and bad health but generally trying to laugh it all off because any other reaction wouldn't do me any good. Yesterday, while walking on my terrace, I was thinking about the April AtoZ and remembered your posts and smiled to myself. I hope you'll take part this year! In any case, hugs! Good to see your words! So lovely to hear from you. I hope you are on an "up" at the moment health-wise. I was fully intending to A-Z again this year, but I am about to start a difficult new job and am not sure I can manage the time commitment. If I can get my act together in the next few weeks, I could try to pre-write some...but don't hold your breath. I do not have your dedication and enthusiasm. thanks for staying by me. Wow you've done a lot in that year. Some of my favourites on your wall of fame there. I've measured this last year in the milestones my grandson has passed. I'm so jealous. can't wait to have grandbabies. I think my nieces are sick of m adoring their littlies! Lolly finishes Year 12 in June. But here there are 13 years, thankfully, so I have a another year of being a useful mum to go yet.